Rochester NY kids of all ages to perform at free Halloween event, at the Buckland Park Lodge. ROCHESTER, N.Y. - Oct. 18, 2016 - PRLog -- On Saturday, October 29, the Buckland Park Lodge will be haunted by amazing local talent, as the Rochester Academy of Music & Arts throws their fifth-annual Halloween Bash. 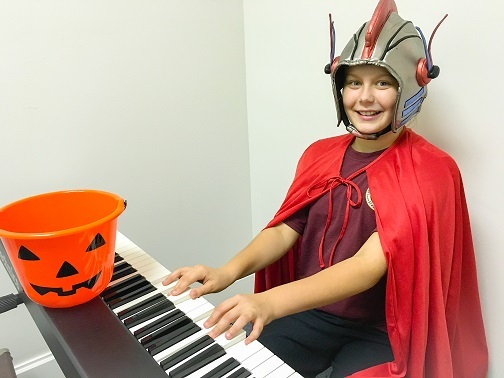 Local kids will perform Halloween classics, as attendees enjoy games, costume contests, and tons of free candy. The Haunted Lodge Bash will take place at 6:30 pm, and is free and open to the public. Despite being "haunted" the event is fun and appropriate for ghouls of all ages, from the very young to adult. This is the Academy's fifth annual Halloween event. According to Academy director Brannon Hungness, "last year's party was named one of the top ten Halloween events in Rochester, and all the families had so much fun. We have a huge responsibility to make this one even bigger and better, and we are going to come through!" As the Academy's Halloween events have grown throughout the years, a larger venue became necessary. When searching for the perfect spot, Buckland Park came to mind. "What could be more appropriate to Halloween than a party in the woods?" Hungness says. "Buckland park has a beautiful lodge that the event will be housed in, but we will take advantage of the outdoors as well. It will be a unique event like no other in Rochester!"